Exciting weather day yesterday: tornadoes around (but none here that we know of) and lots of trees down and many without electricity, and then freezing temperatures last night turned all that water to ice. 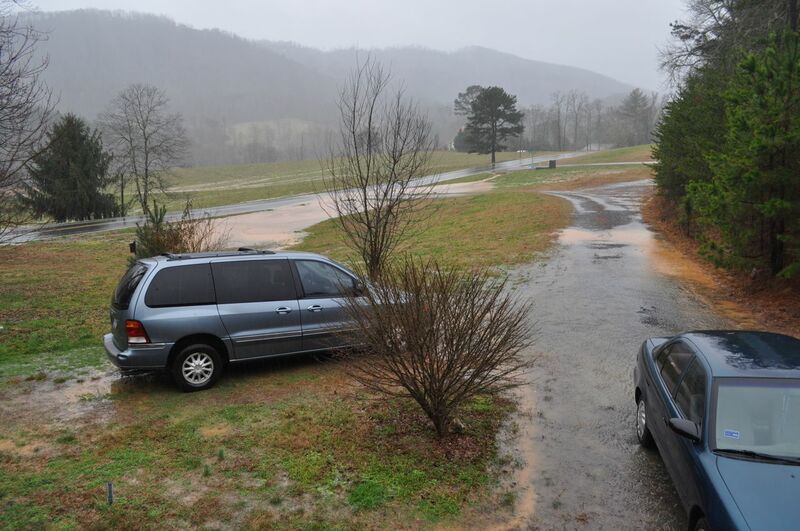 We had a small river running off the hill behind our house yesterday as the storm brought three inches of rain. That, of course, doesn’t slow down homeschooling. And the covered porch helps. 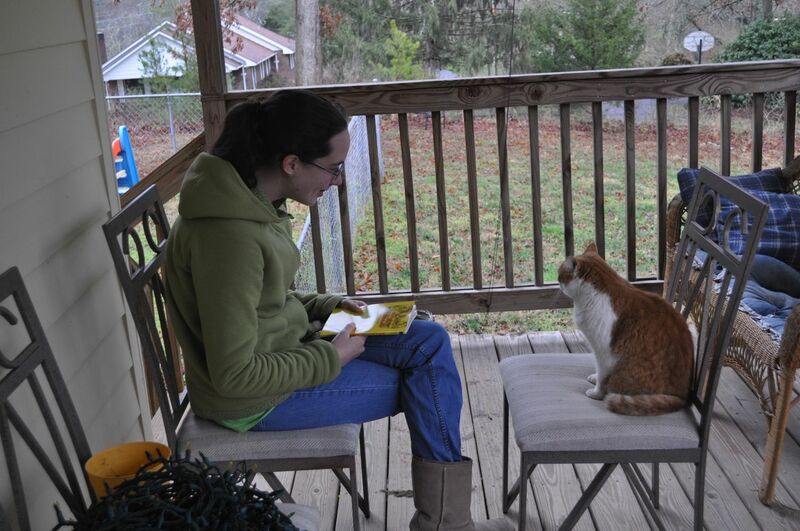 Even Beva enjoys discussing literature with Jenna while it is raining. Dana had read somewhere that this winter was supposed to be cooler and drier than normal. The exact opposite seems to have descended upon us. Actually, the temperatures (51° avg. high, 34° avg. low) this month have been almost exactly what they were last year in January, but much warmer than our first January here (43° avg. high, 26° avg. low). But rain: how about 12.7 inches for the month? Somehow that doesn’t seem drier to me. Still waiting on our first measurable snowfall. This entry was posted in Home school, Weather. Bookmark the permalink.